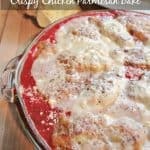 Easy Skillet Lasagna- The BEST way to get your lasagna fix! 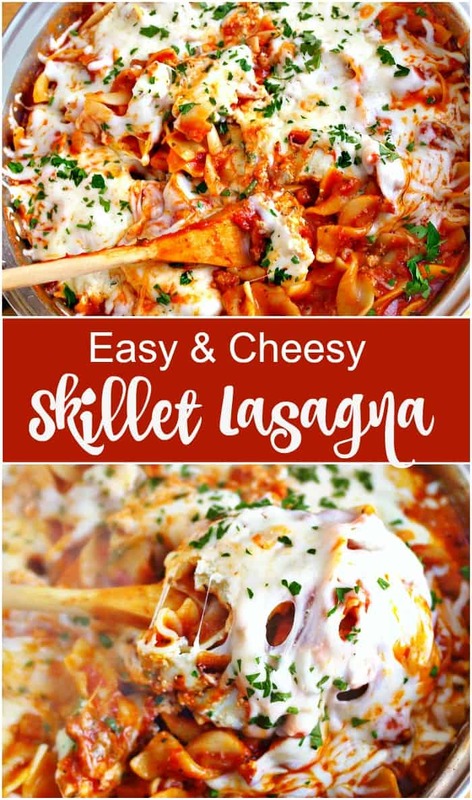 Easy Skillet Lasagna , an amazing one pot dish ready in 15 minutes instead of over an hour like traditional lasagna! Creamy ricotta, mozzarella and Easy Skillet Lasagna- The BEST way to get your lasagna fix! Easy Skillet Lasagna, perfect for when you are craving the traditional, but short on time! The week really flies by , it seems like every time I turn around it is time to post another 15MintuteSupper! That goes to show just how valuable time is. As a mom I am constantly looking for quick and easy meals to make during the week that will provide a full hearty meal without it coming from a box. Skillet dishes take less time! One of my favorite meals is lasagna, but unfortunately I just never have the time during the week. So I set out to create a clever way to have lasagna during the week. This easy skillet lasagna has all of the elements of the traditional, except for the work you have to put in. UPDATED- this is an updated recipe, it takes about 20 -25 mins and no longer pre-boils noodles. FIRST, WATCH THE QUICK VIDEO ON HOW TO MAKE IT! All of the lasagna, none of the work! 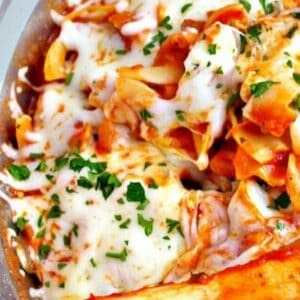 Easy Skillet Lasagna , an amazing one pot dish ready in 15 minutes instead of over an hour like traditional lasagna! Creamy ricotta, mozzarella and Easy Skillet Lasagna- The BEST way to get your lasagna fix! In a large skillet over medium heat, add the onion and ground beef (or sausage). Season with salt & pepper. Cook until browned. Drain grease if necessary. Cover, bring to a boil and reduce to simmer. Let cook for about 10 minutes. Add a beaten egg, half of the parsley and a pinch of salt & pepper to the ricotta cheese. 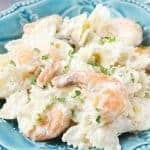 Place dollops of ricotta on top of the pasta. Cover and let simmer until noodles are cooked, about 10 more minutes. Top with shredded mozzarella, cover for 1-2 mins. to melt. Sprinkle with parsley! Other quick and easy meals! Sounds delicious to me! Love that I can make it so quickly. Wow…this sounds great! 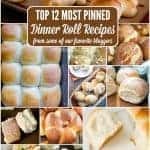 I know my family will love this recipe! Thanks for sharing. This sounds delicious, and I love that you can whip it up so quickly! This looks delicious- and something I would have never thought was possible! Thanks for sharing it! pasta is always a go to meal for us and lasagna is the hubby’s favorite. I will have to try this!